SiverSea are delighted to announce our epic 2020 World Cruise. In our continuous efforts to innovate and redefine the world cruising experience, and to offer our guests the greatest experience in destination-rich itineraries… Legends of Cruising – World Cruise 2020 was born! We are proud and excited to say that this will be the first world cruise ever to offer its guests the chance to set foot on all seven continents taking in an astonishing 62 ports, 32 countries and 40 new destinations. Become a legend! There is something uniquely satisfying about a smaller ship. The intimacy, the friendly camaraderie and the excitement of exploring secluded harbours where others cannot go. Our intimate, ultra-luxury ships can sail up narrow waterways into the heart of a city, or tie up right at the pier while others must anchor off shore. And for those who yearn to explore the new and unknown, Silversea’s 4 purpose-built expedition ships can transport you to the furthermost boundaries of the planet. 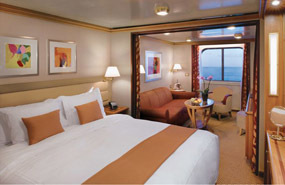 Equally gratifying is the experience on board our prestigious ships. The spacious ocean view suites with butler service. The almost epic epicureanism of the cuisine. The warm hospitality and European cachet that attract guests from around the globe. Travel is the elixir of life at Silversea and every cruise is a voyage of discovery. Come explore the possibilities on a Silversea cruise. The amenities of a grand resort, but the charms of a stylish boutique hotel. Silversea’s Millennium Class ships Silver Whisper with world-class accommodations, shipboard conviviality and warm, individualized service, paired with the enhanced spaces and amenities of a larger ship. Revel in the pampering treatments of an expanded wellness spa, shop the hottest trends from top designers at our shipboard boutiques, and enjoy dynamic full-scale productions in a multi-tiered show lounge.